Just what function could these products serve? The 6-inch white PVC waterstop is Sika Greenstreak 703; the black thick strip is Cetco RX-101, a bentonite and butyl rubber waterstop. What’s the scary thing about the two products in the photo above? 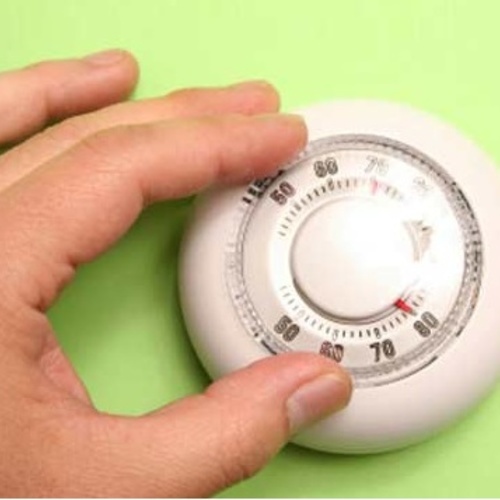 The scary thing is that it is rare to find a residential builder or architect who has seen these products before, despite how critical their function is. Any ideas or guesses? I can honestly say that until recently, I had no idea what they were for, nor had I ever seen them on a job site. 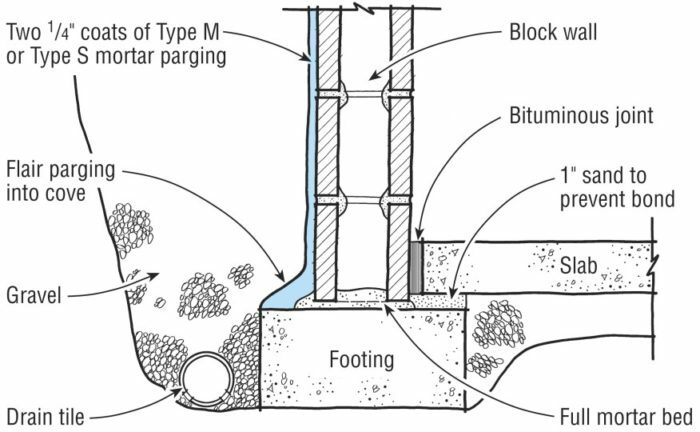 For years, I have been recommending capillary breaks between all porous building materials that might be connected to soil moisture — including the cold joint between a footing and a below-grade wall — but apparently turned off my building science brain when it came to water movement through the cold joints of footings, below-grade walls, and basement slabs. And yes, there are ways to detail the exterior of the cold joint between the footing and bottom of the foundation wall (see Image #1 in the Gallery), but these details are put to shame by waterstops. 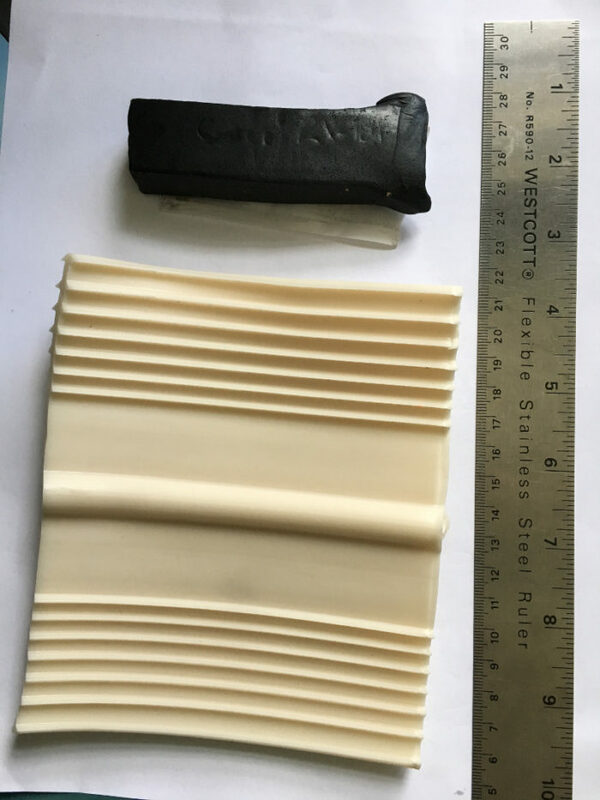 PVC waterstops come in a wide range of shapes and sizes (see Image #2), depending on the type of cold joint, the hydrostatic head anticipated, and the movement you expect at the cold joint. 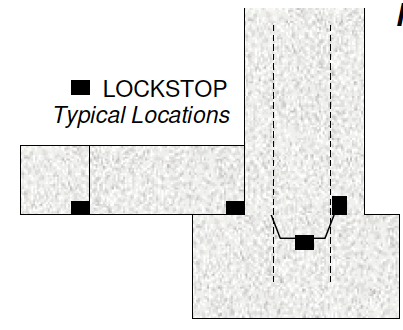 These waterstops are installed with half their profile in the footing and half in the concrete wall. The waterstop is wired in place using a system of grommets punched into the top of the exposed flange. Another good resource on PVC waterstops is this guide. 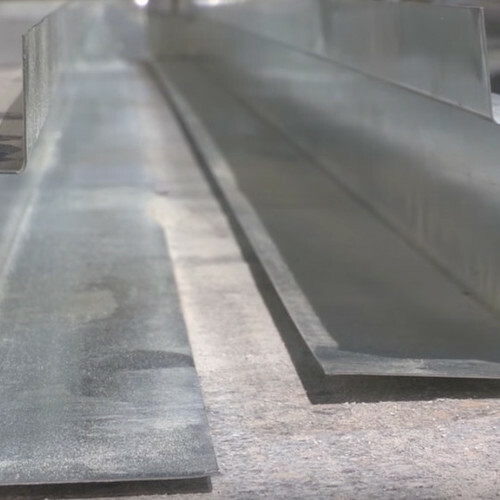 Bentonite and butyl rubber waterstops are popular because they are quite a bit easier to install than PVC waterstops: They are either secured to the center of the set footing with an adhesive primer or a metal screen. (It’s critical to keep concrete — even just a bit of slurry — from getting underneath the waterstop strip as the foundation wall concrete is cast.) But these strip waterstops do not tolerate the joint movement that the PVC waterstops do. 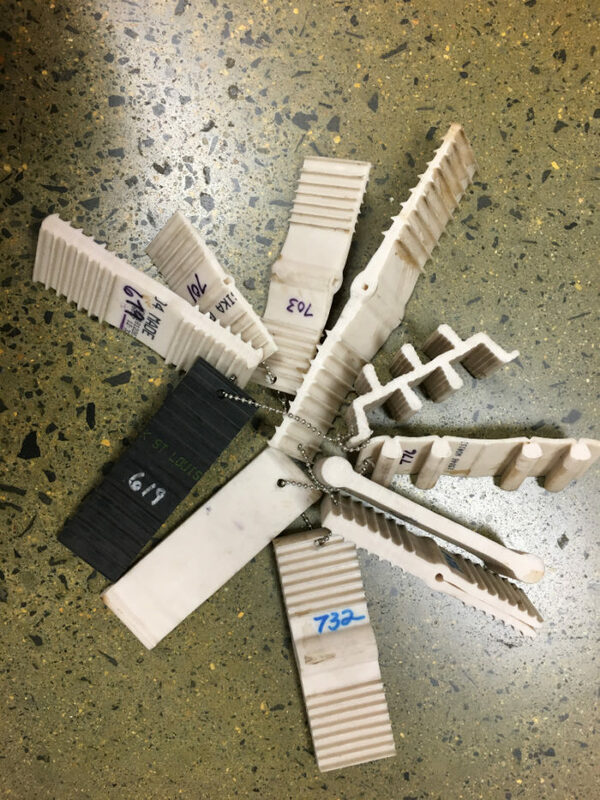 The best resource I found on the subject of waterstops is a Construction Specifier article entitled, “Understanding Waterstops.” The article tells you everything you need to know. 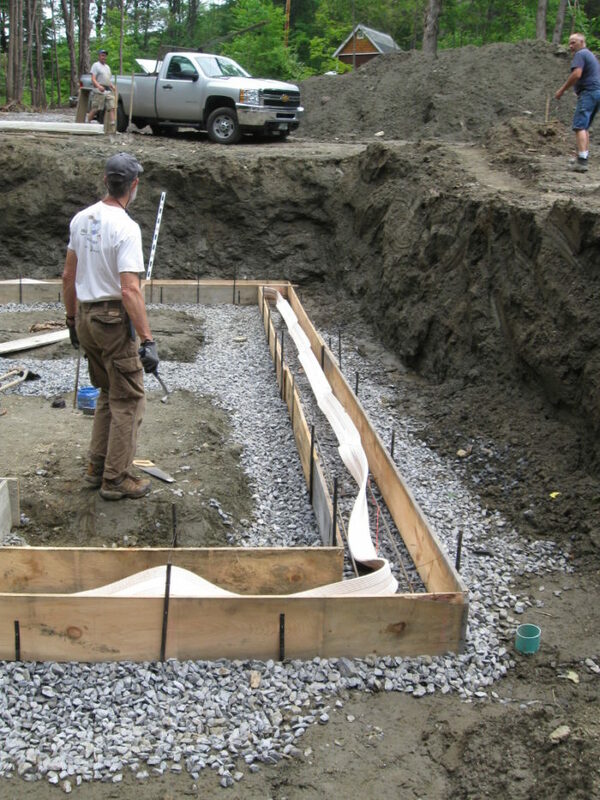 “I have long been a avid reader of the GBA, so I am very happy that you found the blog about our (still) ongoing house building project in Vermont. 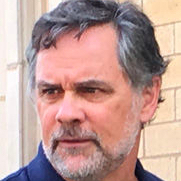 “I do not remember where I heard about using a waterstop, because we first used this productback in 1994 when we built a house with a full basement in Athens, Georgia. 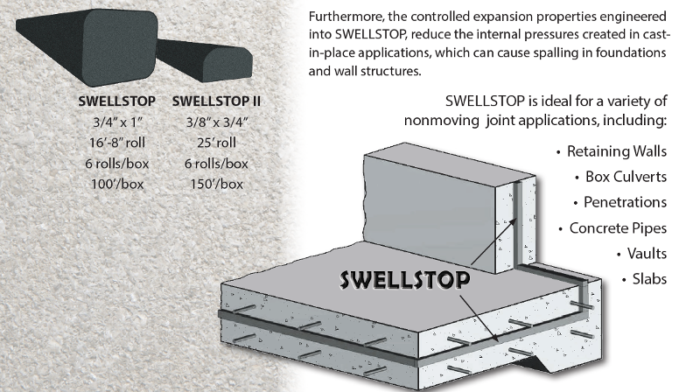 It just makes so much sense to seal that cold joint between footing and foundation and it is one of the many things that costs little to do during original construction but is very expensive or impossible to do later. 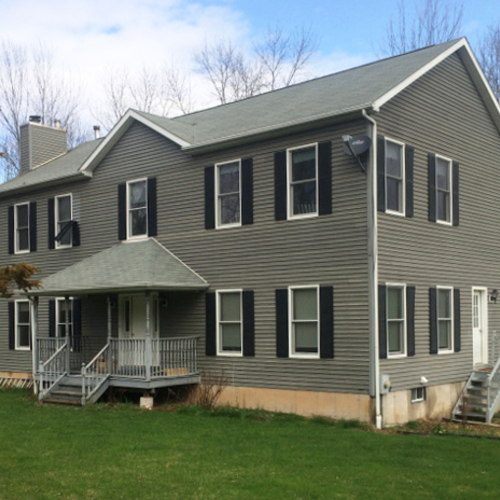 “In Vermont, where we knew we had a very wet site, besides footing drainage, we took additional steps [beyond waterstops] to reduce this water intrusion (e.g. 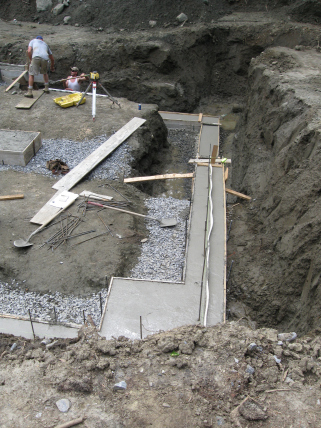 UGL Lock on the footing surface, Xypex admix to make waterproof concrete, Roxul drain board on exterior of the foundation wall, and backfilling with sand). Three years later we have had zero water intrusion or moisture through the wall, despite continually getting 2 to 3 quarts of water per minute from the footing drain! If the footing drain keeps the water level below the footing/wall joint, why is attempting to create a waterproof seal "critical"? I agree with Jon, especially if the slab is (as it should be) several inches above the footing. Is there some reason to believe that water will penetrate the joint in greater quantities than that flowing under the footings? If the footing/wall intersection really is a problem, I'd prefer to deal with it at the outside face with sealant or something like Xypex. Another thing that concerns me is embedding the seal-stop into the footing, which reduces the thickness of the concrete directly under the walls. Great Article Pete! Thanks for bringing my attention to water stops. I never thought of using them.